Shawn Jordan took a risk five years ago with his proposal for a project he hoped would earn one of the most sought-after National Science Foundation awards granted to young academic researchers. 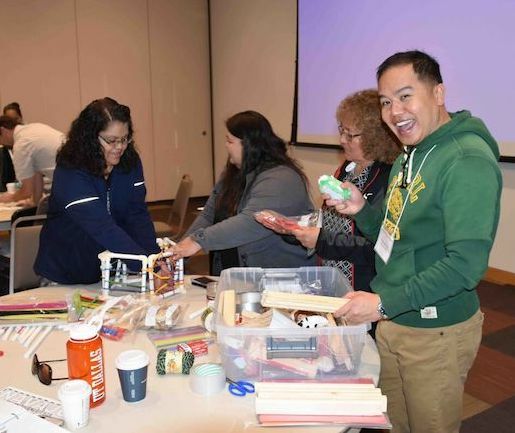 Jordan knew the proposed endeavor to partner with Navajo Nation educators to develop engineering curriculum for their schools would challenge him both as a researcher and educator. 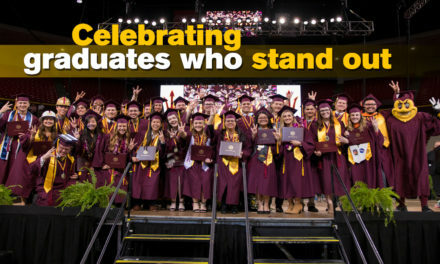 But based on the knack for innovative approaches Jordan was demonstrating as a young faculty member in Arizona State University’s Ira A. Fulton Schools of Engineering, the NSF decided to throw its support behind his aspirations. 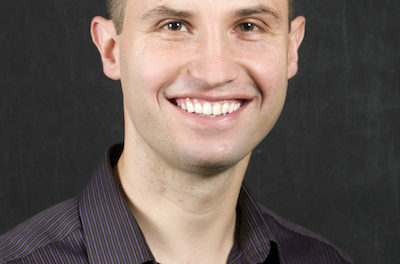 In 2014, Jordan received the NSF Early Career Development (CAREER) Award, which recognizes university faculty members deemed to have the potential to become leading researchers and educators in their areas of expertise. 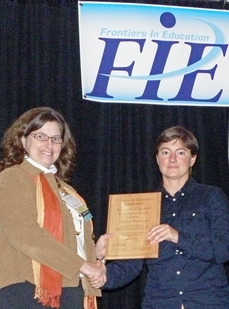 The award has funded Jordan’s collaboration with STEM (science, technology, engineering and math) education specialists with the Navajo Nation Department of Diné Education’s Office of Diné School Improvement (Diné is what many Navajo people traditionally call themselves) to introduce middle school students to the engineering design process. 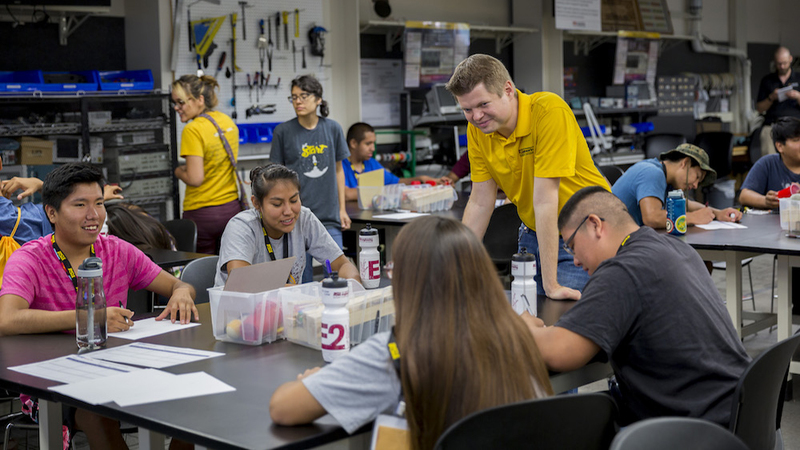 The challenge isn’t about bringing conventional approaches to teaching engineering to Diné students. The idea has been to develop culturally relevant ways of instructing youngsters in the fundamental technical and conceptual aspects of engineering while also instilling in them a sense of the rewarding possibilities STEM studies could make happen in their futures. The goal is also “to teach engineering in a way that each individual discovers and defines for themselves what it means to be both Diné and an engineer,” Jordan says. “Navajo culture is grounded in Diné epistemology and guided by traditional teachings that influence our societal and environmental values,” says Colin Ben, a citizen of the Navajo Nation and a postdoctoral research scholar in the Fulton Schools and ASU’s School of Social Transformation. “Navajos evaluate projects and potential partnerships based on how the end product will improve the quality of life for our people, strengthen economic stability, and/or enhance educational services for our youth, but only if it is carried out with respect and sensitivity to Diné protocols,” says Ben, who is doing research on Navajo education. Similar thinking guides the Navajos’ outlook on subjects such as natural resource extraction. Those factors are why designing curriculum for Navajo Nation schools won’t work if it’s based on one-size-fits-all models of education. Jordan’s NSF project has led to ongoing pilot programs in Navajo middle schools that involve culturally relevant engineering design studies. The programs are showing encouraging results. Students are demonstrating an understanding of how skills in engineering and other STEM fields can serve the interests of the nation and be pathways to improving the lives of those in their communities. Jordan says the project is proving the effectiveness of focusing on cultural relevance as a cornerstone of a solid foundation for educational improvement, especially in underserved communities. One of the major outcomes of the project is the work now underway to support Navajo Nation middle schools to become certified as STEM schools. The certification provides schools professional guidance and support to boost the quality of their education programs. Jordan says results so far are showing educators can bridge cultural divides and bring lessons from each other’s experiences into efforts to improve education. “I think my research could be used as a model for how to successfully and respectfully carry out research and curriculum development in partnership with cultural or ethnic groups that the researchers and scholars involved are not a part of,” Jordan says. Jordan is also spending some of his time on sabbatical during the 2018-2019 academic year learning new methods he can use to help schools spark students’ interest in STEM subjects. Through studies at the Storytelling Institute at South Mountain Community College in Phoenix, Jordan will develop a framework for using oral storytelling as a tool for engineering education. He wants to help engineers and students learn how to craft and tell the stories of their own pathways into the profession. The approach is contrary yet also complementary to the way engineering education is often marketed by colleges and universities. Jordan’s work has been gaining interest among his peers. 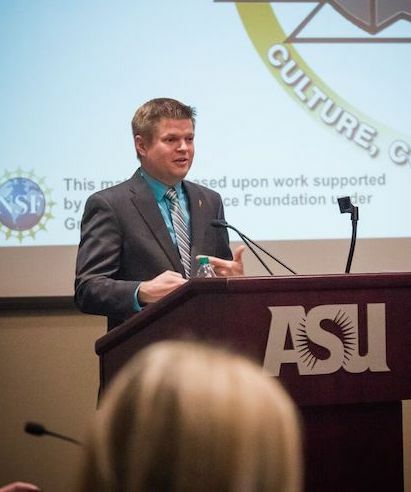 He has given talks, presentations and workshops at gatherings of the American Indian Science and Engineering Society, the National Indian Education Association, the ASU Office of American Indian Initiatives, at an NSF Engineering Education meeting and at the Innovation Arizona Summit, among other events. In 2017, Jordan’s contributions to engineering education earned him the NSF Presidential Early Career Award for Scientists and Engineers, which recognizes innovative research and community service leadership in education and community outreach. From a big-picture viewpoint, Jordan says the Navajo Nation education project is one of many undertakings that could eventually bring different sociological and cultural perspectives into the practice of engineering — and the NSF is trying to encourage that change through support for efforts to bring diversity into the engineering workforce. Should engineers take more risks in the classroom? 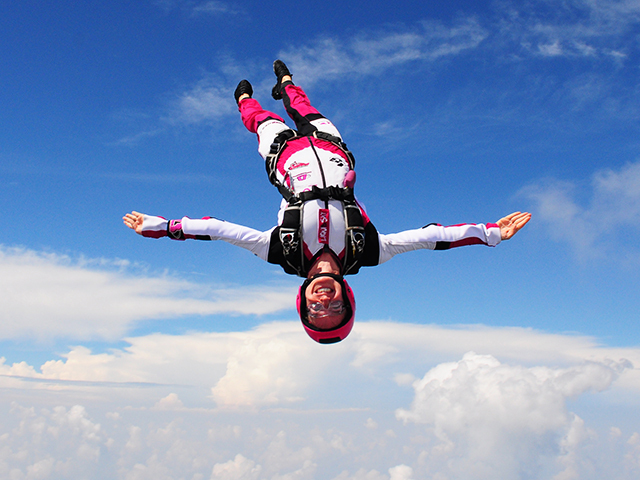 Skydiving professor says yes.